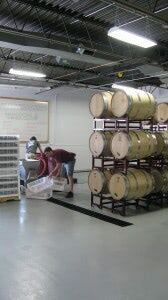 We’ll walk you through each step of the winemaking process and provide hours of entertainment for months to come! 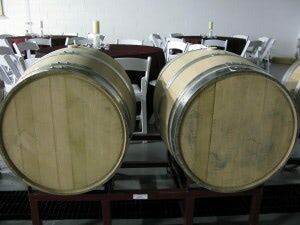 At wineUdesign, you craft your own custom barrel of wine and bottle it up to bring back and share with friends, or store for a later occasion! Here’s how it works. Kick off your custom wine creation without even using your feet! 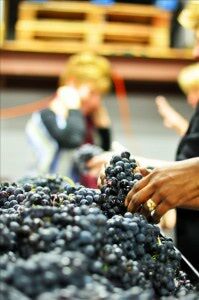 Get right into the grind by crushing and pushing our specially imported grapes through our miraculous de-stemmer to start the fermentation process. One week later, you’ll push the now fermented mix through our press. This will squeeze the grapes’ fermented juice away from the skin and seeds. This luxurious liquid will age in your own private barrel for the next few months. It’s time to rack your wine! After carefully separating the sediment from the bottom and removing your wine from the barrel, we let it mature for just a bit longer. But don’t worry – you’ll get to taste test it. It may seem like a tease, but the final product is well worth the wait. The time has come to filter your wine, fill, cork and seal your bottles! With the finishing touch of your very own labels, you’ll have 240 bottles of premium, personalized wine, aged to perfection. Now celebrate, share and enjoy the fruits of your labor with plenty of friends and family!